I’m having a lot of fun with my recent blog posts. I love writing about trends and topics for my clients, but I’ve started to make an effort to share information to help other salon owners and cosmetologists. I think I’ve realized that I can help so many with my 2 decades of experience. Here’s another great topic for you fellow industry professionals. Do you ever wonder “Why” your clients stop coming back? Think about your location. Is it easily accessible, is there enough parking, is it in an area that is busy. But, let’s face it, you can have a great location and clients will still leave. Sometimes they may just want to find a salon closer to their home. Believe it or not, your clients want recommendations from you! You are the professional, and they want to know what to use to achieve the best version of their hair, skin, etc. Now I know some of you don’t like to retail, and are rolling your eyes at this, but it’s true. They want recommendations and if they aren’t getting it from you, they will wander. This is when they don’t like the service that the technician has preformed. Now, obviously this could be a number of things. But what I find interesting, is this is #8. There are some clients that will chase the deals. Maybe they had a Groupon, or other coupon, and really have no intention of ever paying full price. Or maybe they had a gift card. They may even live out of town. There are also those that don’t like to stay at one salon. I wish I could stress the importance of this with you. I actually wrote a recent blog 10 Tips to Help You Grow Your Clientele and it is a must read. I would have so many of m clients say that they looked forward to their shampoo all day and it was their favorite part of their service. So yes, the shampoo experience is important, even more than #8.! I know it happens, there are times that you will run behind. 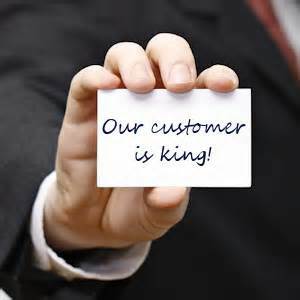 But, we have to respect our client’s time, just as we expect them to respect ours. Do what you can to stay on schedule. If you are running behind, let them know how long you will be, don’t let them wonder. Sometimes we get so caught up in our work, that we don’t stop and really look around to see what the client sees. Every once in awhile, sit in your chair and look around. Sit in the waiting area, sit in the shampoo or dryer area. You will be surprised at what you’ll see. 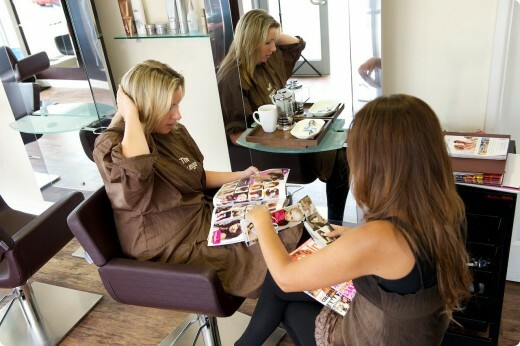 Salons get dusty quick, and it can be hard to control the hair, but try your best to keep things neat and tidy. This is so crucial for your business! You as the professional have to know what questions to ask to get a clear, precise understanding of what they want. You have to take the time out and give the client your undivided attention. It is so important to do what they want, and you have to have great communication with them. Discuss their desires, LISTEN, and come up with a way to execute. If they asking for something impossible, it is your job to articulate that. Don’t over promise. They will respect you for being honest. The front desk is the lifeline to the salon. When someone walks in, they need to be acknowledged. Every salon is set up different. Some have a receptionist, or salon manager, and in a lot of cases technicians are up at the desk. Even if you are busy with a client, pause to say “Hi” and smile. Let them know what they should expect next. If their technician will be right with them, if they will be a few minutes, do they need a drink, etc. Clients need to feel comfortable and welcomed. 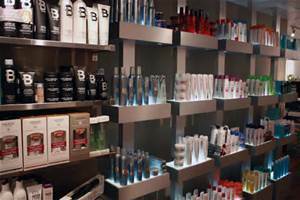 If it is a new client to your salon, I suggest giving them a tour. Show them where everything is, and what is offered. I think I have another topic to blog about! And here we are, the number 1 reason clients leave, is they are bored! I think that sometimes we think we know our clients so well that we are afraid to try new things in fear they won’t like it. Or maybe we think they want the same thing every time. I have also been around technicians that don’t continue to educate themselves and learn new techniques. There are many factors, but one of the things you can do is, always do a proper consultation with all of your clients, every single time they come. It doesn’t matter if they have been your client for 20 years, don’t assume. Make sure you ask the right questions and achieve what they want. Keep up with your education and trends. Be o.k. with change, don’t let them get bored! I hope this list helps you. I’d love to hear more from all of you too!